If you know us mostly for our POS systems, take a closer look. We offer a wide range of cutting-edge technologies that can drive efficiencies, increase customer engagement and improve revenue. From point-of-sale systems to digital displays to security cameras, Panasonic offers solutions for every aspect of running a successful restaurant. Labor management, food cost management, financial reporting solutions are all available from Panasonic’s web-based software. 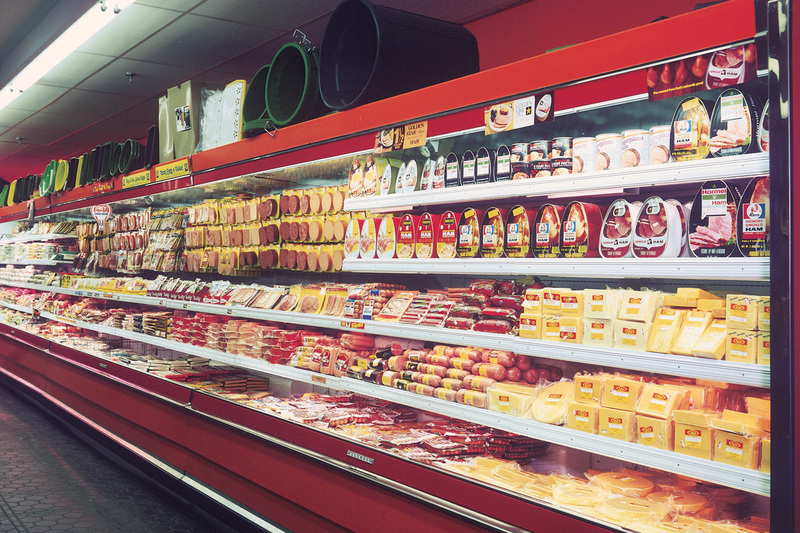 Display and refrigeration systems that tackle the large issues: changing consumer tastes and technology, evolving competition and more. As technology grows in the lives of consumers, many are looking toward companies to adapt to the latest trends. 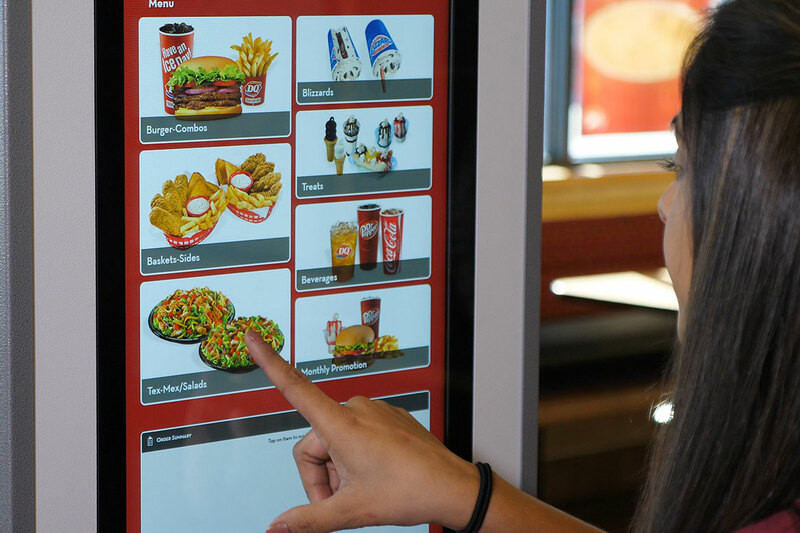 New tools, such as touch-screen kiosks, allow visitors to take control over the ordering process and give them the ability to customize their meals. By embracing new technologies, restaurants can establish themselves as beacons in the industry as they move to provide consumers with the flexibility they demand while also increasing profits and efficiencies. Kiosks allow customers to customize their orders, but also give employees the opportunity to be more productive elsewhere in the restaurant. Couple with innovative restaurant automation and modern software, Panasonic offers turn-key, end-to-end solutions to drive business in new and unexpected ways. Whether it’s giving you the ability to make fast decisions by providing easy-to-view information from your point of sale terminals across the store, country or region or delivering forecasting, cash management and financial reporting, Panasonic’s software is built to ensure that owners and operators have the tools they need to achieve their business goals. Restaurant managers can’t be everywhere all of the time, so this software is designed to give them the ability to see what’s happening everywhere, at any time. 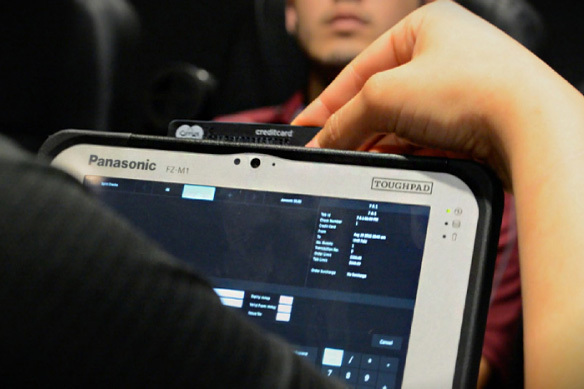 Designed with a flexible base, Panasonic’s software can be highly customized to meet the needs of any business. This allows managers to access insight on food cost, labor management, sales, profits and to make data-driven decisions and improvements anyplace they can access an internet connection. Hussmann, a Panasonic company, views innovation as central to the way it does business. For over a century, it has introduced innovative products and services to help its food retail customers become more effective in a highly competitive environment. Examples of this refrigeration engineering expertise abound. From the introduction of refrigeration systems specifically designed for food stores in 1933 to the development of the distributed Protocol refrigeration system, the industry’s most widely-used alternative refrigeration system to new secondary system technologies, the Hussmann engineering team identified a need and developed solutions to answer that need. And Hussmann continues to explore system solutions to address the challenges of today and those emerging needs of the future. Innovation is central to the way Hussmann does business. For over a hundred years, we've been introducing innovative products and services with the sole purpose of helping our food retail customers become more effective in a highly competitive environment. Our innovative process always begins with listening. We listen to the needs of our retail partners to understand their challenges, opportunities and concerns. We also listen to the consumers they serve, so we understand how our innovations will contribute to a superior shopping experience that builds satisfaction and loyalty. Make food preparation easier with advanced features that let you serve meals faster and more efficiently. Create the connected QSR infrastructure that adapts to your ever-changing restaurant needs.